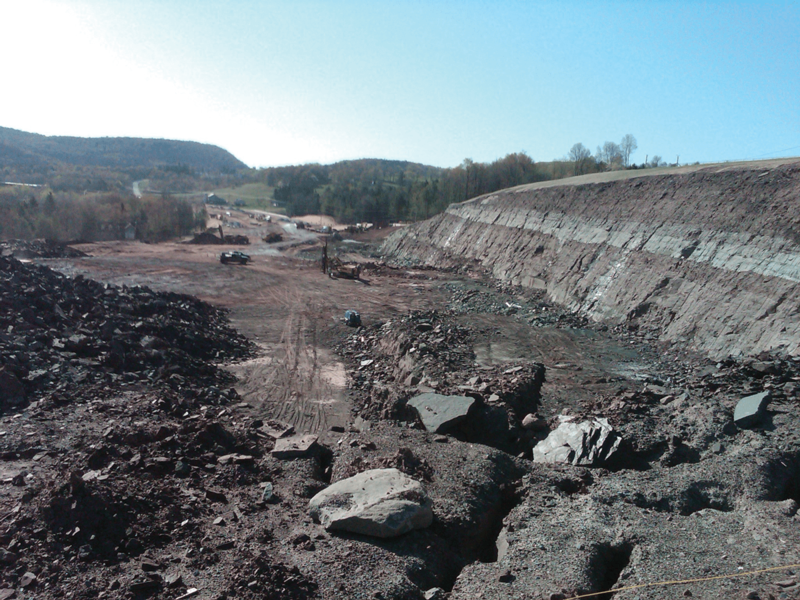 MD&B was in charge of blasting to clear a million yards of shale and sandstone off a hillside for the Route 17 relocation in New York. Inconsistent geology posed a challenge. Mother Nature inflicted some harshness of her own during the project, including large amounts of snow and whiteout conditions. Although it didn't change the actual blast, it created difficulties transporting explosives to the job site and movement around the work area. The human factor also came into play on this project. Homeowners at the top of the rock-cut harbored concerns. Because of the varying geologies, MD&B changed the way explosives were loaded in order to break the rock effectively. Homeowner concerns were also addressed by MD&B's internal pre-blast survey department who explains the blasting process, answers questions, and provides assurances. 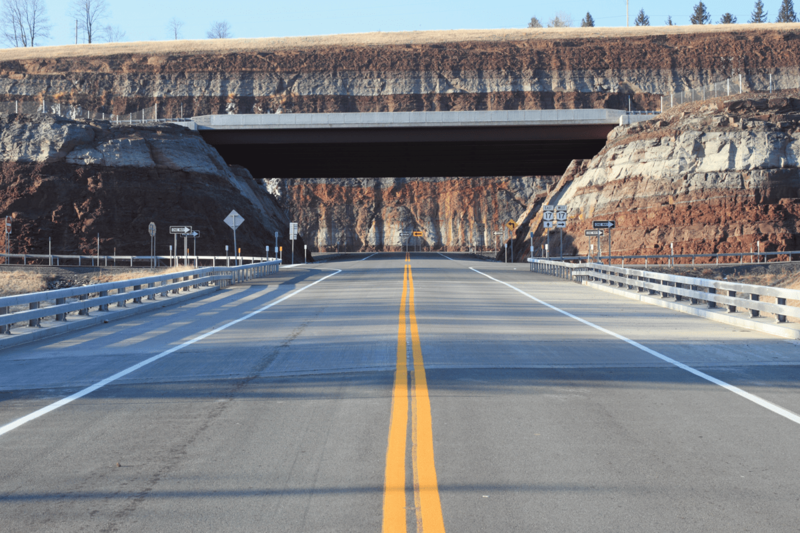 MD&B designed and produced the radius presplit intersections leaving a stable, eye-catching, rock intersection.